About 13 mi/21 km southwest of Nice, France, you'll find Antibes, a pretty beach town with the largest pleasure port in France. 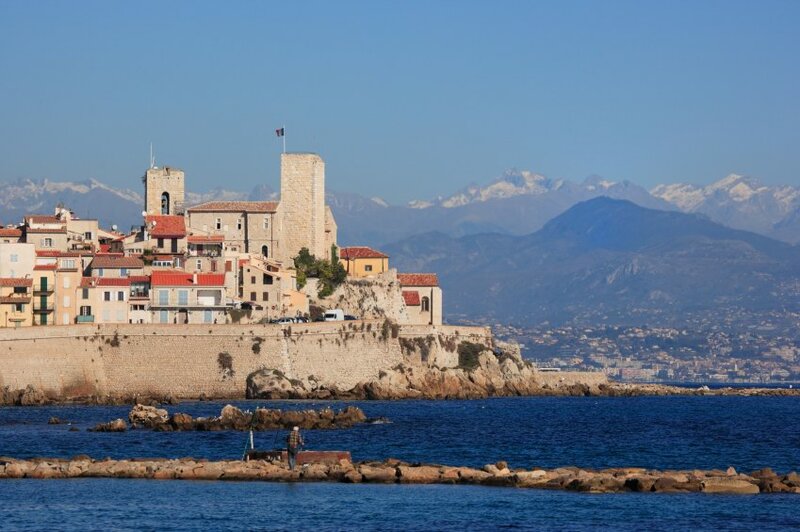 Antibes' Old Town offers a wide range of activities and many nice restaurants, galleries and clothing shops. Every day but Monday, vendors sell local produce and other goods at a wonderful open-air market in the Old Town. In 1946, Pablo Picasso was invited to set up his studio in the 12th-century Chateau Grimaldi, and the core collection of the museum is the work he produced during his stay. Behind the Chateau Grimaldi are the city's medieval ramparts—climb up for gorgeous views of neighboring resorts and the sea. The best beach for sunbathing is the Plage de la Salis toward the Cap d'Antibes. Antibes also has a jazz festival every summer. Just inside Antibes' walls is the area known as Safranier and the Bastion St. Andre (an archaeological museum). From the harbor, Port Vauban, you can see the 16th-century Fort Carre (open year-round except Monday, Christmas, and the first day of January, May and November). At the resort of Cap d'Antibes, see the Tour du Grillon Naval and Napoleonic Museum in the Sella Tower and views from the sanctuary of La Garoupe. Nearby Juan les Pins has sandy beaches (in particular a long 1-mi/2-km stretch of beach), all kinds of watersports, upscale boutiques, nightlife and the Eden Beach Casino. It's possible to take a boat trip year-round to two of the Isles de Lerins: Ste. Marguerite (the fortress where The Man in the Iron Mask was imprisoned) and Ste. Honorat (an 11th-century abbey).